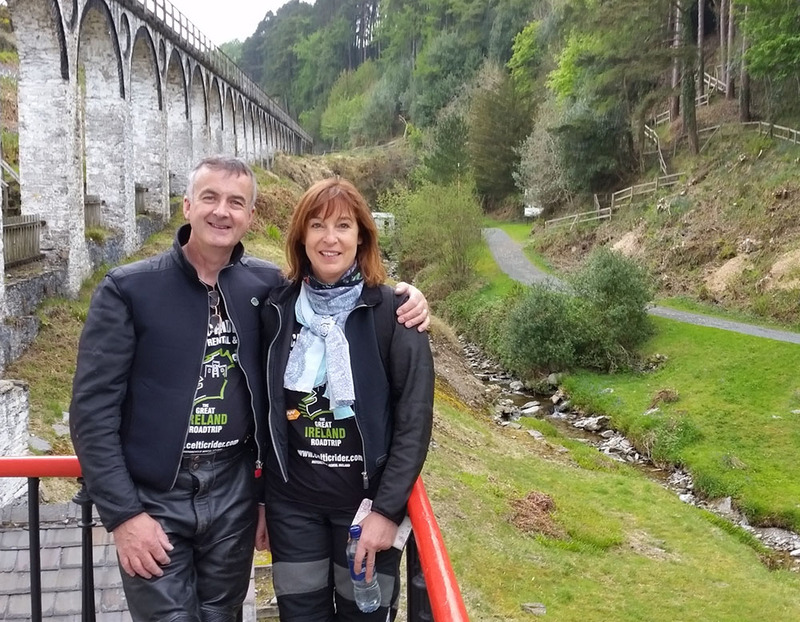 Motorcycle Rental Ireland Limited is the registered name for Celtic Rider Ireland; Motorcycle Rental & Tours, which is 100% Irish owned by Paul & Siobhán Rawlins. In early 2007, having overcome many stumbling blocks, in particular attaining the required insurance, we eventually managed to make our dream become a reality and in the process, pioneered motorcycle tourism in Ireland. ‘Avid bikers ourselves since the mid 70s, and with many years of experience both traveling at home and abroad, using a combination of motorcycle rental and bringing our own bikes, we have dreamed of sharing this unique gem of an island with our fellow riders from around the world, and now we can!’ Siobhán Rawlins. Since 2017 we can now bring our motorcycles into Europe, opening up a whole new World of touring experiences for our clients. We are now offering tours to the Isle of Man, England, Scotland and mainland Europe, including France, Spain, Italy, Austria, Germany, Switzerland and Brussels to name but a few! ‘We are now in a position to put our lifelong experience to good use by providing top quality motorcycle hire in Ireland and Europe with a fleet of 56 motorcycles. We offer a top end service for discerning motorcyclists from around the world. My first full time job was as a motorcycle dispatch rider for the Irish state in early 1976 delivering urgent government telegrams and body organs around the island of Ireland, it was the beginning of a love affair with both motorcycling and this ancient island I was born in. 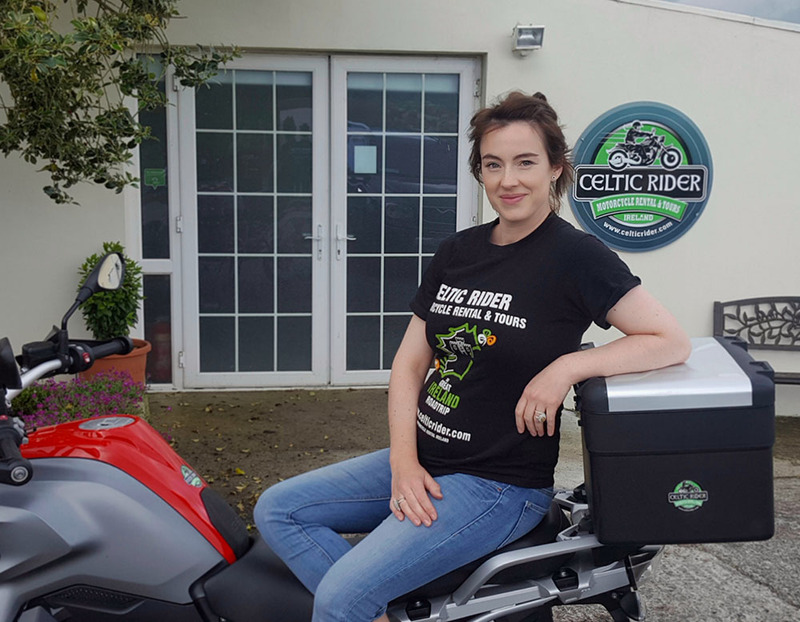 Our company, Celtic Rider, pioneered motorcycle tourism and without doubt is Ireland’s number one Irish owned motorcycle rental and self-guided tour company. We can provide you with everything you need to enjoy the beautiful Irish countryside, our stunning coastal seascapes and amazing roads. 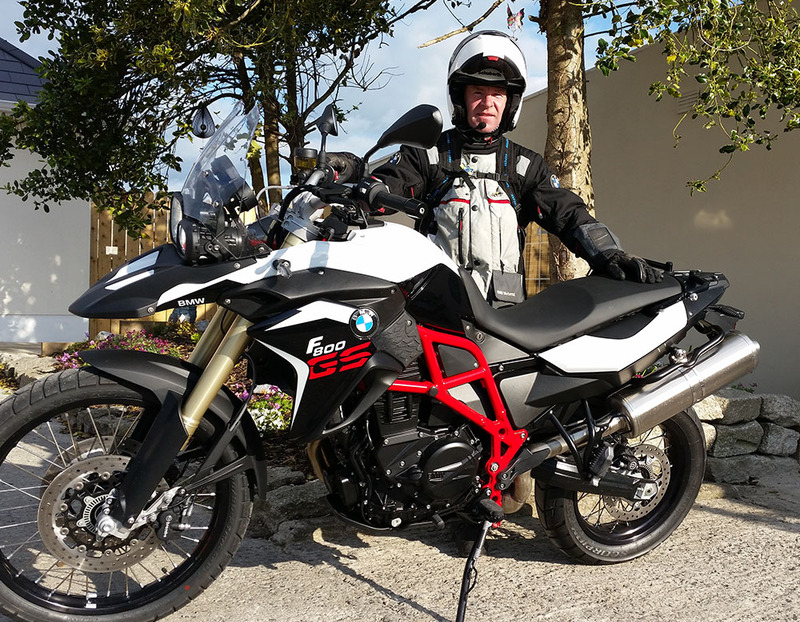 We have traveled these roads ourselves for over 40 years, and over time spent touring we have stayed in some fantastic B&B’s and hotels in traditional Irish towns and villages, and these are what we choose to share with you, our fellow riders’, Paul Rawlins. Our rental station is located only 16 miles from downtown Dublin City and 25 miles from Dublin Airport, Ireland’s international airport for North American and Canadian tourists. We work from home in a peaceful quite town land called Bishopscourt; our original house was built in 1527 for the keeper of horses for the Bishops of Leinster, who resided 400 yards away in Bishopscourt Estate. Country roads abound in this area, which is world famous for its horse racing and breeding industry in the fertile plains of county Kildare. Ireland is truly unique, with wild and beautiful scenery, a genuine friendly and hospitable English speaking people, a land of ancient history and deep culture – our island is unique and unspoiled. Ireland is the perfect place to escape the daily grind of life and to explore on two wheels, or four with our modern automatic car rental option. Our roads lend themselves to freedom and adventure. Ireland differs fundamentally from other countries and represents a high quality holiday destination, full of incomparable and unforgettable experiences. Celtic Rider, Motorcycle Rentals Ireland and motorcycle hire in Scotland will help you with your journey of discovery. Ours is a caring Irish family owned business, and we ask you to trust us to make your dreams become a reality. Paul Rawlins, founder of Celtic Rider Ireland along wife his wife Siobhán in early 2007, lifetime motorcyclist, with interesting first job at age 16 to 21 years as a Dispatch rider for the Irish State, delivering urgent government telegrams and body organs around the island of Ireland. Pioneered motorcycle tourism in Ireland back in 2007 and eventually won ‘Small Business of the Year’ in Ireland in 2013. Proud Irishman, born and reared in Dublin. Siobhán Rawlins, married to Paul since 1982, best friends and business partners working together with always the same goal, sincere advisor and travel expert, mother of our three grown up children, loves experiencing new places and chatting with people. 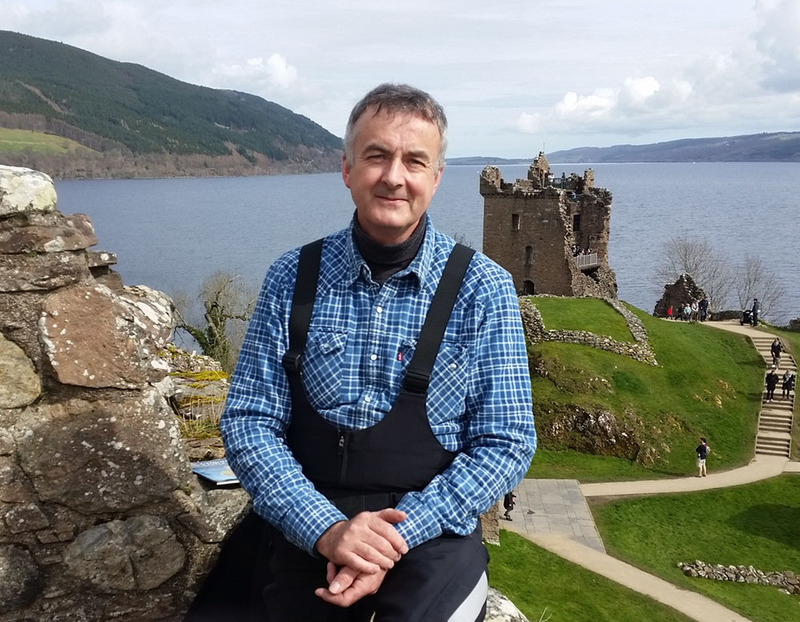 Interests are quilting and design, reading, hill walking, adventure touring. Louise Rawlins Traynor, daughter of Paul & Siobhán, was educated in an all Irish language school, followed by three years in college studying architecture and design, managed a successful interior design company, than came on board Celtic Rider Ireland in 2015 to assist the running of the family business in a myriad of ways. Liam McDonagh, trusted lifelong friend, a natural mechanic who from a very young age showed a unique talent and understanding of all things mechanical. Fleet manager of Celtic Rider since the company started up in early 2007, knows very well how to keep our bikes in tip top condition, and also gets clients holidays started in good humour when picking them up in our minibus.